Packing for travel made easy! Travelling is a good way to release stress but just planning the event can be a stressful. It can vary from pre-travel time, travelling itself and sometimes post-travel period. All of which can lead up to what is called ‘Decision Fatigue’, where one is overwhelmed with choices and it exhausts you mentally. Travel stress and anxiety can be caused from planning your trip, safety concerns, accommodation, transport or even packing itself. Packing is a nightmare to some! It’s confusing, you get agitated and you might just end up leaving something behind or taking way too much with you! This was the key driving factor behind Pac-In-eZ (Packing made easy! ), a smart application that helps you pack efficiently! 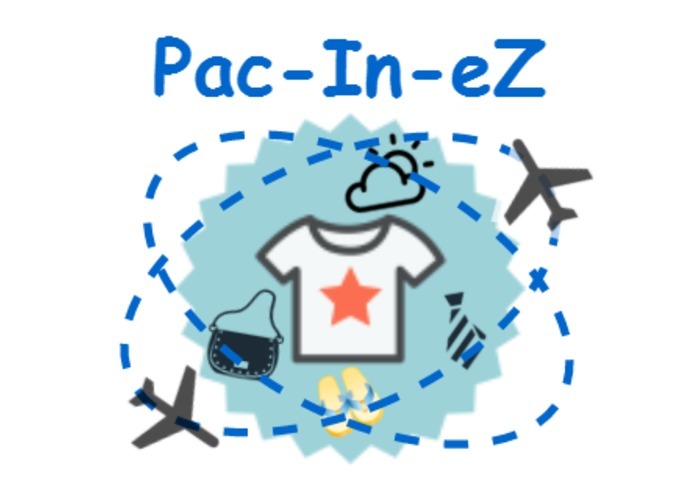 Pack-In-eZ is a smart web based application that helps you pack clothing based on weather condition, flight information and create a personalized packing list! a. Weather based clothing forecast: We require the users to feed in your travel dates, city you are traveling to, age, gender and flight details. Once we have these inputs, the program will open to a 5 day weather forecast in the city you are traveling to and suggest appropriate clothing for when they arrive. b. Packing list: There is also a ready clothing list available for Men, Women, Children, A toiletry list and a list for essentials. This can be used regardless of the weather condition and can be customized to one’s needs. c. Flight information: Using your flight inputs we show you the baggage allowance for your airlines. This would help you to plan your luggage well and avoid paying for more baggage allowance. d. Reduce stress: The ultimatum of this web based application is to help reduce travel stress, primarily for ‘Packing’. Creating a customised list for weather conditions and choosing clothing based on the weather! You click on weather for the day to see this information also aggregated based on gender and age! The simplicity of the idea, yet a common problem that can be a nightmare to some. Implementing several other modules! Simpleness of the idea has several components to it that can be added we have only been able to explore a few. There are great ways. 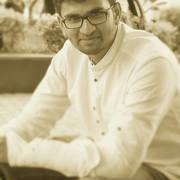 to monetize this platform especially through advertisements and shopping. Listed below are list of such ideas that can be implemented: Tips to fold clothes Add and share personalised packing list Fashion recommendations based on weather Wear counts - Based on previous travel history we can suggest the number of time a particular item has been worn Use other travel anxiety issues as modules - trip scheduler,vacation planner, safety information, credit card coverage Can also be used as a medium to sell fashion and travel related products. I worked on the idea conceptualization and designed prototype of the product. Assisted with research on competitive products and data for weather based clothing, helped with creating clothing lists (json files). Worked on the Python to integrate the OpenWeatherAPI with the WebApp. 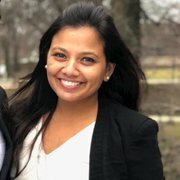 Working on finding a dataset which has weather and clothing information together for the best suggestion and also building one from the standards.